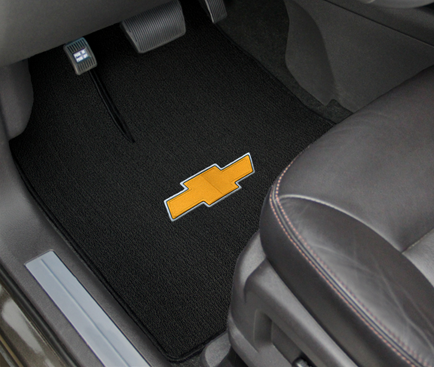 This newest product from Lloyd Mats is an economically priced custom fit Corvette floor mat that features a unique process whereby the color is added to the liquid polypropylene before the material solidifies and is woven into yarn. This creates a carpet that is inherently fade, stain and soil resistant. It features a low, dense, loop that is extremely wear resistant, allowing Classic Loop mats to be warranted for five years.